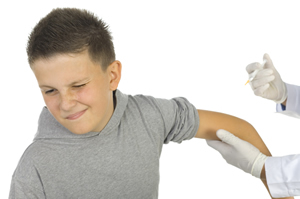 Naturopathic Doctors have been warning parents about exposure to mercury in vaccines and amalgam fillings, and their effect on brain development and neurological function for years. I have also previously blogged about it, which you can read here. Finally the truth is being revealed about the detrimental effects of mercury on the body. This is the most recent study, published today, in the Journal of the Neurological Sciences. At LTP Natural Medical Center a cornerstone of our treatment strategy is to test for, and then detoxify the body from heavy metals like mercury. The good news is that we have the tools to reduce and prevent the damaging effects of mercury, using safe and effective treatments that remove heavy metals from the body naturally, and without the use of IV therapies. vaccines with autism and other neurodevelopmental disorders. Project is funded by hundreds of millions of taxpayer dollars. each of the years examined. higher following an additional 100 micrograms of mercury exposure. organization associated with the World Health Organization (WHO). This entry was posted on Thursday, June 12th, 2008 at 11:04 pm and is filed under Autism and Mercury, Toxins and Detoxification. You can follow any responses to this entry through the RSS 2.0 feed. You can leave a response, or trackback from your own site.